New York Unsafe Worksite Injuries Attorney | Workers' Compensation | New York Personal Injury Lawyer | Silberstein, Awad & Miklos, P.C. 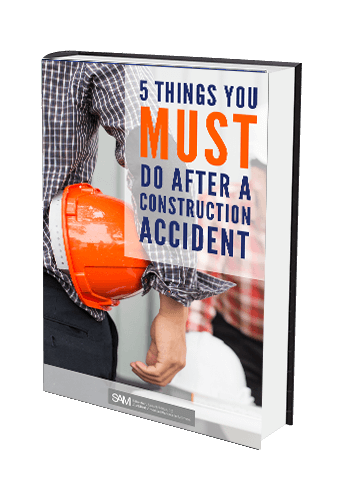 Construction sites are very dangerous and if they are not properly managed, many workers get exposed to unreasonable harm, accidents, and injuries. If you have been injured at a construction site, consult with a worksite injuries attorney to see if you qualify for workers’ compensation. A dedicated construction injury attorney can help you through this process. The owner and the general contractor have a non-delegable duty to provide a safe workplace to each and every worker on the site. Their responsibility requires them to make certain that the work site is so constructed, equipped, arranged, operated and conducted as to provide reasonable and adequate protection to the lives, health, and safety of all persons employed therein or lawfully frequenting such places. The owner and general contract have a further responsibility to make sure all machinery, equipment, and devices in such places shall be so placed, operated, guarded, and lighted as to provide reasonable and adequate protection to all such persons. Construction site injuries often happen due to a dangerous condition on the work site. A construction worker is exposed to many dangerous conditions on the work site that can include tripping hazards, slipping hazards, hazardous openings, defective machinery, defective tools, lack of safety fall protection equipment and improper supervision of the various trades. A general contractor has a duty to walk the construction site to observe and correct any and all unsafe activities or conditions. If you are injured as a result of a defective condition or activity on the construction site, our firm will hold the owner and general contractor responsible for their lack of care and for violating their responsibilities in providing a safe place to work. If a contractor is controlling the manner and method in which you perform your work and this activity causes you harm, then you have the right to sue for your injuries. Many construction workers do not have the authority or chance to tell a contractor that they refuse to do an activity because it is unsafe. When a worker is forced to do an unsafe activity and they get injured, the owner and general contractor can be held responsible. Many construction sites operate rapidly and work is often sped up to meet various deadlines. Some contractors have a “time is of the essence” clause in their contract to make sure the work meets various deadlines. When work is rushed, mistakes and injuries take place. Workers are often forced to do projects and activities faster than usual and this, at times, can be extremely dangerous. Construction sites typically involve working at elevated heights. The owner and general contractor have a non-delegable duty to make certain all workers are safe when working at elevated heights. They have a responsibility to provide the proper safety equipment such as ladders, scaffolds, scissor lifts, man lifts, and platforms to reach the work area. If such equipment is not provided then this creates an unsafe construction site and the owner and the general contractor could be responsible if an injury takes place.